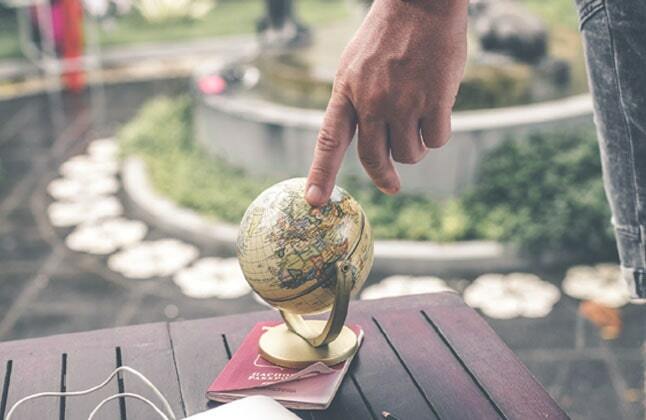 Studying abroad helps develop social, academic and language skills and will give you an advantage over the others when it comes to finding employment, recruiters seek out those who have proactively pursued different ways to broaden their experience. You will also have tons of stories to bring back to your friends. If you are considering on studying a semester abroad, here are some of the best travel abroad destinations. London is considered to be one of the best destinations for a higher education. It consists of several different cultures and historical landmarks and has a wide variety of museums and galleries. You can also use your student discounts at several restaurants, retail outlets or even use them for travel purposes. A study abroad program here is recognized and respected all over the world. Australia is another great travel destination you can consider for a study abroad program. One simply cannot help but admire the cities of Sydney and Melbourne, home to the opera house and the famous queen victoria market. In addition to having some of the most beautiful beaches, Australia also have several theme parks. Moreover, students who have completed their overseas program in Australia have been very successful in finding jobs. Canada has a bounty of places that will have you swooning. It is known for its vibrant culture and stunning natural environment. It is also hometown to some of the famous Hollywood musicians and actors. There are other popular activities one can do when studying in Canada such as skiing and snowboarding. A great way to enhance a university degree is with a co-operative work program. Singapore is another great travel destination for a study abroad program. Apart from the high quality of life, Singapore also offers courses at affordable prices. It also has a variety of multi cuisines such as authentic Thai, Chinese, Malaysian, Indian and Italian among others. It is a fascinating place to shop, and is known for its night life and adventure sports. A degree from Singapore is recognized worldwide and offers a wide range of job opportunities to students from across the world. New Zealand boasts a clean and secure environment; the pleasant weather and welcoming attitude of the people in New Zealand will make you feel right at home. Study programs and degrees from New Zealand are widely recognized in all areas of study and research. New Zealand has an endless range of tourist attractions and activities that are pocket friendly and well suited to match every individual's taste such as museums, white water rafting, bungee jumping and sky diving. Paris has some of the most amazing spots you can enjoy the skyline views from. Strolling through the streets of Paris and watching the Eiffel Tower light up during the late evenings is spellbinding. The Louvre, one of the most famous art and historical museums is located right in the heart of the city. The city also has musicians playing on street corners, thereby giving you a chance to hear the different styles of music, some of the biggest luxury brands in the industry are also headquartered here. Paris has some delicious pastries and baguettes which are a must try for those who wish to take up a semester in Paris. Besides being home to a large number of small and large lakes, Switzerland also has some of the most beautiful mountains and the highest train station in Europe. The Alps, one of the most beautiful mountain ranges covers about 65% of Switzerland. However, Switzerland is not just known for its natural beauty, but is also known for its chocolates and cheese; the finest that you will ever have a chance to taste. Moreover, the people here are extremely polite and friendly. "Edwise is the right option if you wish to study abroad. The counselors will guide you in choosing the right university and they will help you properly in visa process as well." "It has been a wonderful experience. The people of Edwise encourage and motivate the students to fulfil their dreams of studying abroad." "Edwise International is the best place where you will find all the answers regarding study abroad. Counselors helped me out with choosing suitable University for my course and also helped me out with visa documents." "No other words than perfection and 100% dedication towards the service provided by Edwise. Edwise is the place where you can get solutions to all the queries. My case was the most complicated but Edwise helped me throughout the process."